-- Well, August marks the end of summer and although past years it has been the hottest month on record, this year is mild so far. It seems that catfish, crappie, & bass are still the primary targets for this warm weather with an occasional trout in the mix. 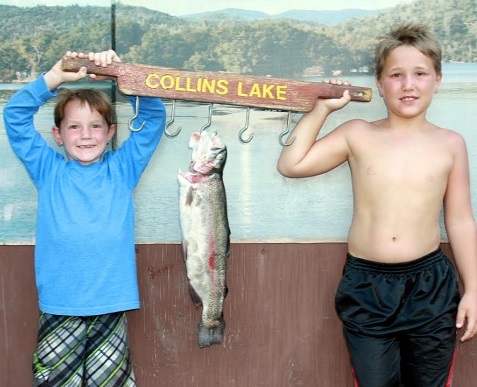 Noah & Kameron Blair brought up a gorgeous 5 lb. 8 oz. trout today and they caught it on orange PowerBait in the channel towards the bridge. Yesterday they caught 5 crappie off the dock using jigs! 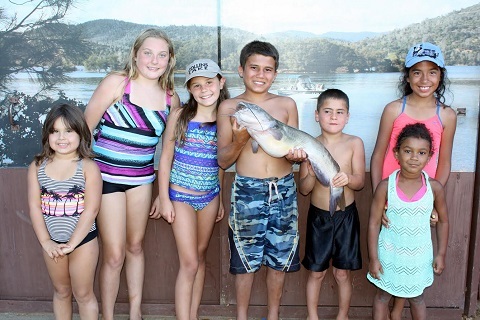 Anthony, Jayah, Kiera, Jino, Juliana, Gabrielle & Alexia brought up a 8 lb. 12 oz. catfish for a photo. They caught that monster by the dam on Catfish Nuggets. 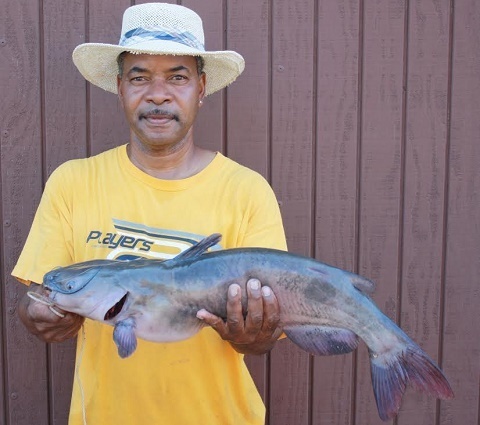 Manual & Julio were fishing Elmer's Cove with chicken livers and each caught a nice catfish. Rodney, Sofia, & Miguel fished near the dam using Anchovies and hooked a 4 lb. 4 oz. cat. Sam trolled with yellow PowerBait in the middle of the lake and hooked a trout. Cimon Yiannikos used garlic PowerBait from shore and caught two trout. Nancy Hammon from Pacheco also bank fished for trout and caught hers on salmon eggs & worm combo.